Roditis is a mystery. Roditis is nobody’s favorite wine grape. Roditis is the kind of wine you drink after your palate is tired of more impressive stuff. 1. It’s a pink-skinned grape that produces white wine. 2. It’s pronounced “Ro-deet-is,” which is a shame because the world could use a wine that rhymes with laryngitis. The suffix “-itis” in English denotes diseases caused by inflammation, but unfortunately that’s not believed to be how the grape got its name. 3. It’s old*; it was mentioned 2,000 years ago as the dominant grape of the Peloponnese region. 4. It’s good for hot countries like Greece because it ripens late and maintains its acidity. Despite this, the only place it’s grown outside Greece that I know of is in a part of Bulgaria that used to be in Greece. 5. Roditis is the second-most planted grape in Greece*, with more than 24,000 acres: that’s 20% more than all the Cabernet Sauvignon in Napa County. 6. Roditis has two main uses in Greece. 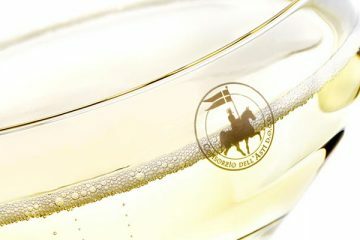 The most common today is as a dry, food-friendly, high-acid white wine. Until 20 years ago it was more commonly used as the second grape in Retsina, after Savatiano, still Greece’s most planted grape. If you’ve never had retsina, the pine resin-flavored wine that Greece was most famous for until this millennium, don’t worry; they still make it, and it still tastes like pine resin. 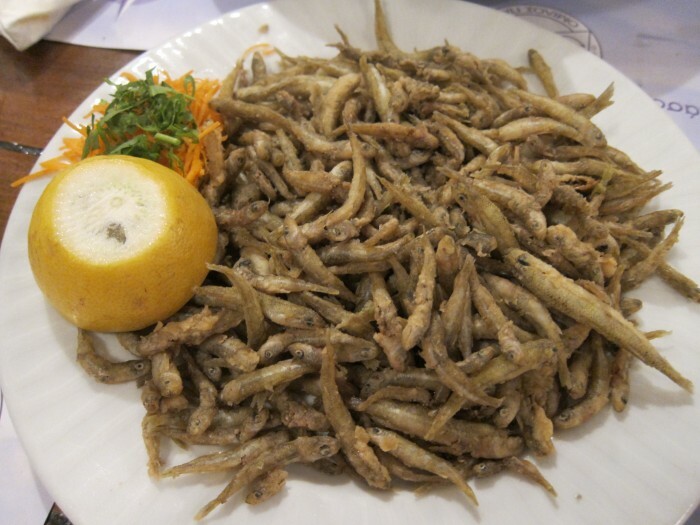 Smelt is a great pairing for Roditis. 7. Roditis is the more interesting of the two retsina grapes; it was added to give the wine more character. You don’t see Savatiano on many wine bottles, especially those for export. Producers are proud enough to release varietal Roditis. 8. But they’re not that proud. It’s hard to find a producer who considers Roditis the top of its portfolio. 9. 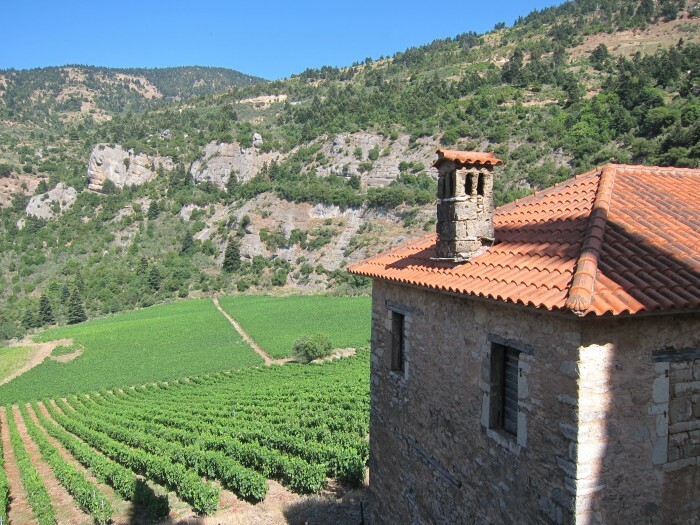 That said, Roditis makes some fine wines when it’s grown at altitude, so it can enjoy diurnal shifts in temperature. Unfortunately, as the second-most planted grape in the country*, there’s a lot of it planted at sea level. Now here’s what we don’t know. 1. How is it spelled? It’s a transliteration from the Greek and some spell it “Rhoditis.” Your call. 2. Where does the name come from? Some say from the island of Rhodes, usually transliterated as “Ródos.” A more popular theory is that it comes from the word “rodon,” which means pink, because farmers used Roditis to describe vines with pink berries that make a white wine. Pinot Grigio is like this: most of the time its berries are pink. 3. What grape is it, exactly? 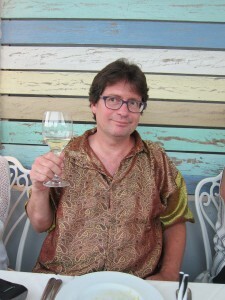 Wine geneticist José Vouillamoz writes in the book Wine Grapes that the name Roditis “is given to at least three distinct varieties cultivated throughout Greece.” Moreover, while producers in the northern Peloponnese claim they get their best results from the more aromatic “fox clone” (Roditis Alepou, named after the color of the grapes), Vouillamoz says there’s no proof this is actually a separate clone. Somehow Greece hasn’t been able to fork over the cash lately for DNA analysis of wine grapes; imagine that. So maybe it’s old, or maybe it’s a youngish clone. Maybe it’s widely planted, or maybe it’s a catchall term. The more you learn about Roditis, the less you know. It’s Heisenberg’s uncertainty principle in a wine bottle. 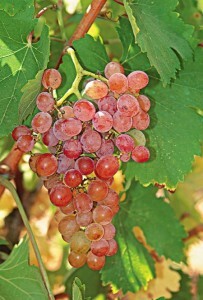 It’s tempting to compare it to Pinot Grigio, another pink-berried grape that usually yields a crisp white wine. I shudder to do so because Pinot Grigio, despite being America’s 3rd favorite wine, has a negative connotation among the oenophiles who read this site. And Roditis has more texture than Pinot Grigio, probably because it’s not made in gazillion-gallon tanks. 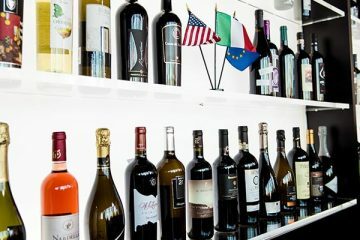 A big winery by Greek standards is still small for the rest of the world, so if you want to imagine Pinot Grigio that’s more carefully tended, that’ll work. 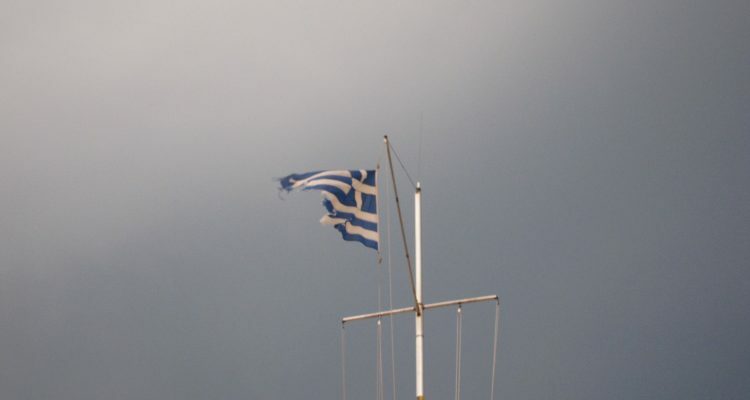 I was in Greece in July, it was hot, we drank a lot of refreshing white wine (and ouzo on the rocks). It was tempting to write an article about Sideritis, an obscure indigenous grape, also pink-skinned, that makes an interesting salty, citrusy white wine. I loved Sideritis, but a look at Wine Searcher shows only four stores in the U.S. that carry exactly one brand of it. Maybe I will do a Sideritis story some day, but not today. Roditis, on the other hand, has eight pages of entries, likely including a store near you. And it’s so cheap: you can get a good bottle for under $12 in most places. The best version I had was a Tetramythos Roditis made for the French market, unfiltered, 100% wild fermented, with no sulfur added before bottling: rich but not fat, with floral notes I rarely found in Roditis. Unfortunately, most Greek producers believe the French care about that stuff and the rest of the world doesn’t. Fortunately, I also liked Tetramythos’ leaner, simpler bottling for the rest of the world, which is how most of us experience Roditis. And did I mention the empty-bottle test? We’d go to dinner, open a few bottles of wine, ooh and aah over the most impressive ones – I confess, a Sideritis or two was on this list – and then the food would come. And we’d eat and drink, and I’d reach for the bottle of Roditis, and again, and, hey, where’d that go? At dinner with the Tetramythos owners, we drained the French bottling first, sure, but then we all reached for the leaner one and enjoyed that too. 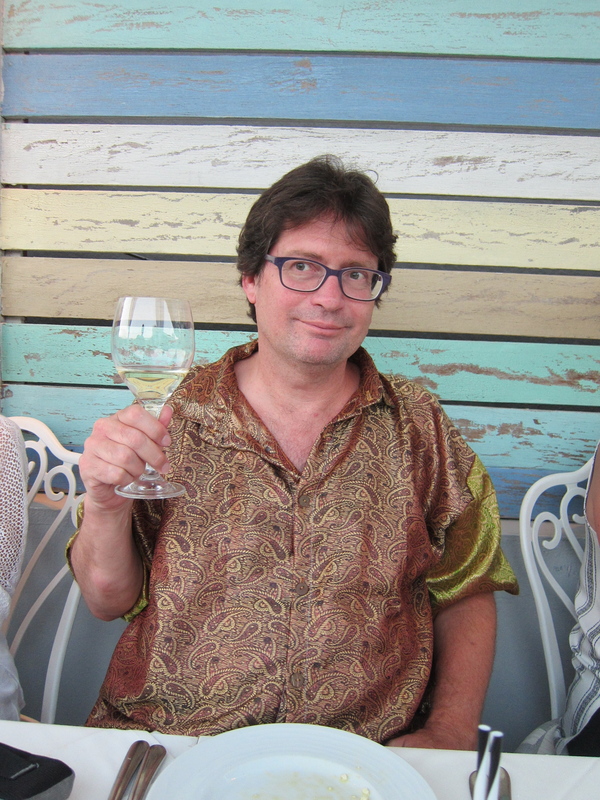 For the past few years, I’ve earned the most money writing about wine for high-end sites, and of course I like doing it; who doesn’t want to taste famous, expensive wines? I can’t describe Roditis in a way that would make it appropriate for that audience. Heck, I can barely make it exciting for this audience. But I brought home two bottles of wine from Greece, and they were both Roditis. If you have any way of checking where the winery is from, you want a bottle of Roditis that’s made from high-elevation fruit. But this is not Montrachet; your investment risk isn’t very high. Take a shot at a grape that’s ancient… unless it’s not. Blake, I’m about to visit Greece for the first time in a few days and was looking for Roditis info. Thank you for writing such a funny and informative article.